This book has been written in response to the countless requests we have had to put our approach in a format that is more portable. Something that helps the reader to actually put all the concepts together. Synergy does just that, and goes further by expanding on those concepts and connections. Nowhere else will you find such a comprehensive exploration of The Reach approach. 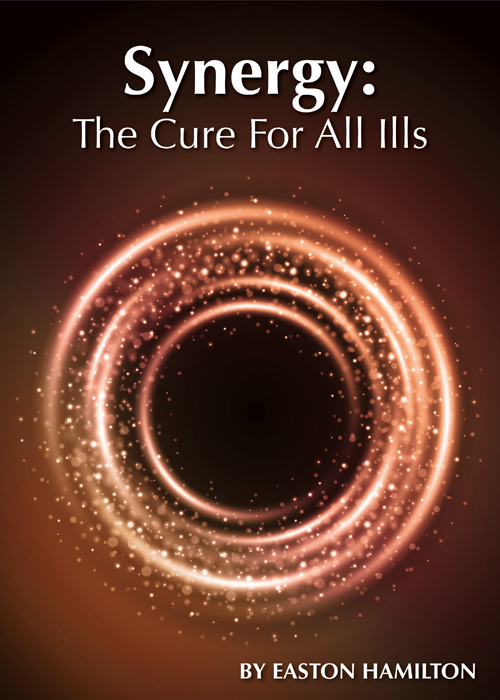 Synergy: the cure for all ills is the final book in the fascinating trilogy which began with Science: The New God? followed by Antiquity Comes Full Circle. Both these books are available to purchase now. However it’s not necessary to have read the other two books to extract the enormous benefit contained within this one. Synergy, pulls together the science, history, philosophy and psychology that has helped shape human understanding. It also exposes the holes in the personal development movement, which would have us believe that there is a ‘single’ antidote for our ills. In this comprehensive and life-changing book the author clearly shows us the mistake that we have repeatedly made throughout history… we’ve been so busy following messengers that we have nearly always missed the primary thrust of the message! Most of what human conflicts have been based on is the idea that ‘my point of view is better than your point of view’. Synergy: the cure for all ills asks us to step away from our opinions and what we think we know and to take up another entirely new perspective, one where we realize that your point of view might actually enhance and enrich my own. The author asks that we take up a position of humility, compassion and kindness because in these virtues we are more likely to discover the truth about ourselves and one another. In this original take on health and wellbeing, Easton Hamilton clearly points out that our minds cannot work properly without water and oil, our bodies cannot do their jobs when the mind is at conflict with itself, health cannot be achieved whilst we poison our environments and they in turn poison us. This common sense and very practical personal development guide is a ‘must read’ and will prove to be a life-long companion for those in pursuit of peace, happiness and joy.